Doug's Tree Service was back at Columbia River Park today to begin removing stumps left over from trees that were cut down in February due to safety concerns. 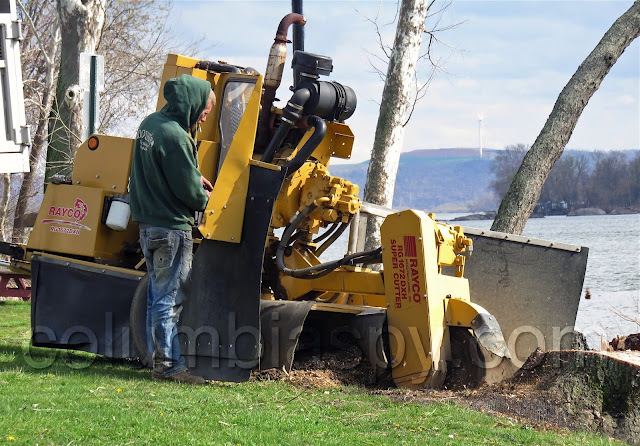 The removal process entails grinding the stumps into mulch. New trees will be planted along the riverbank over the next few months. i certainly hope that the cost of this IS included in the $14,000.00 already paid for removing the trees.